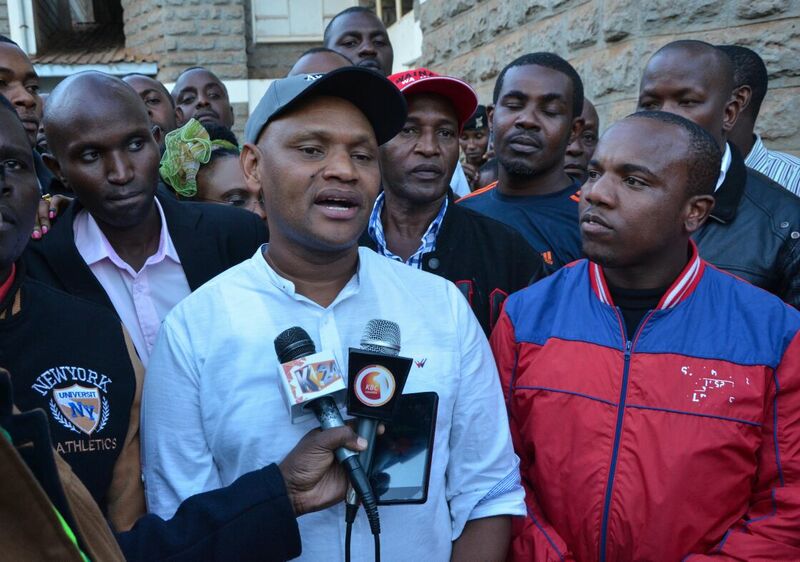 Home NEWS This Is My Solemn Promise To The People Of Thika – Eng. Wainaina. This Is My Solemn Promise To The People Of Thika – Eng. Wainaina. Thika Town MP-Elect Eng. Patrick Wainaina Wa Jungle making his maiden speech after being announced winner at the constituency tallying centre at Thika High School on Wednesday. Thika Town MP-Elect Eng. Patrick Wainaina Wa Jungle has pledged to rebuild the town’s economy by supporting small, medium and large enterprises in the constituency’s conglomerate-driven economy. In his maiden speech as the newly elected legislator, Wainaina told an enraptured crowd that he was ready to work with leaders from all spheres of life and promised to listen to the citizens’ concerns. This, he said, would be the pillar of his administration’s agenda that could see the town grow into a medium-level world city. He dedicated the win to all the people of Thika and promised to work with everyone regardless of which political divide they were before these elections. “Thika Town is a very fertile ground for growth, innovation and technology, individual and collective creativity and for business. However, it has been neglected and left to face the serious threat of economic stagnation. We are unable to provide jobs for our people – weakening links between economic growth, employment and social progress,” said the MP-Elect. He discussed his immediate priorities for office and vowed to improve what he described as Thika’s ‘battered economy’ through programmes that would create more jobs by fostering innovative entrepreneurs throughout his five-year tenure. Wainaina added that this was one of the reasons that had pushed so many people out of the labour market or towards low-skilled/wage service sector jobs. He vowed to implement all what he promised during his campaigns, including prioritising a bill in the 12th Parliament that will ban the importation of eggs and oranges from South Africa and toothpicks from China in a bid to creating more jobs in those sectors for the youth. He promised to create a fund that would cater for all the elderly who were dependent on well-wishers to see to it that they were all covered by NHIF. Wainaina also pledged to increase funding to public schools to ensure that they accessed all basic infrastructure necessary for a proper environment. “I am promising all of you here today that within the next 5 years, everyone in Thika Town Constituency will start feeling and seeing the fruits of the CDF kitty,” he said. He committed himself to supporting President Uhuru Kenyatta and his deputy William Ruto and their government policies to ensure that the country realised its VISION 2030 dream.